While small businesses do not generate as much revenue as large corporations, they are extremely important to the United States’ economy. This economic importance can be seen in many ways. 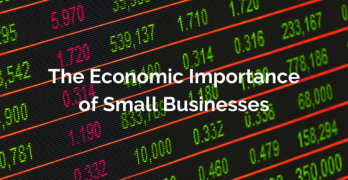 Small businesses contribute in a large way to the job market and the tax revenues used in local communities to fund schools and other publicly available services. For sake of discussion, small business is defined as any business with 500 employees or less. According to the US Small Business Administration (SBA) small businesses represent 99.7% of all employer firms. Since 1995, small businesses have generated 64 percent of new jobs, and paid 44 percent of the total United States private payroll, according to the SBA. The level of economic importance begins to be evident when these numbers are taken into consideration. 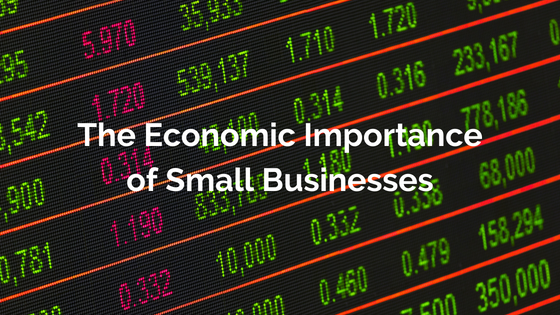 The numbers simply do not lie when it comes to the economic importance of small businesses to the US economy. They bring growth and innovation to the communities where they exist. Small businesses also help stimulate economic growth by providing employment opportunities to people who may not be employable by larger corporations. Small businesses tend to attract talent who invent new products or implement new solutions for existing ideas. Larger businesses also often benefit from small businesses within the same local community, as many large corporations depend on small businesses for the completion of various business functions through outsourcing. This further amplified the economic importance of small businesses. Small businesses tend to be more agile, quickly adapting to changing economic environments. This is explained by the fact that these businesses are often very customer-focused. By patronizing small businesses, consumers are giving back to their local economy. A thriving local business will wind up generating more revenue resulting in it paying more in taxes. This includes local taxes that go to fund schools and police and other services. The economic importance of these things cannot be stressed enough. These businesses don’t always stay small. They grow into large corporations, but remain local to the area they had their birth. This further strengthens the local economy. It can be said that small businesses are the lifeblood of local economies. 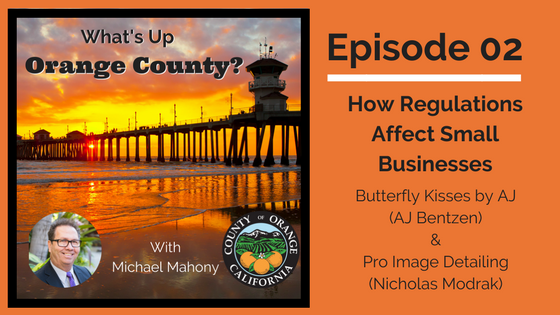 In this episode of What’s Up Orange County, I talk to AJ Bentzen from Butterfly Kisses by AJ and with Nicholas Modrach from Pro Image Detailing. AJ talks about her struggles knowing what to do while Nichholas talks about the horrendous regulatory issues facing his business. AJ tells us that she didn’t have the resources available to guide her in starting her business. The school she attended helped as much as they could, but she really needed advice on how to handle the registration of her business. 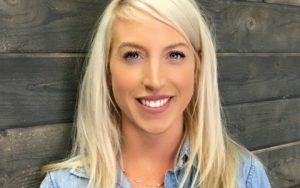 She didn’t know whether to be an LLC or an S-corp. She made decisions the best she could. Her struggles include the expensive nature of starting a business. AJ is a permanent makeup artist from Newport Beach. She has been in business for 9 months. She graduated in July 2017 from International Institute of Permanent Cosmetics. 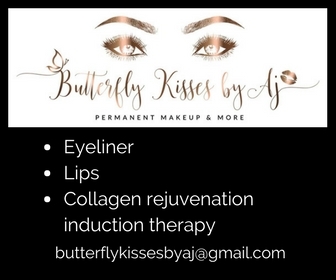 AJ offers microblading, permanent eyeliner, lips and more. She says she is a perfectionist. She says that she really needed help figuring out how to start her business. She made a few mistakes that cost her a bit financially. It sounds like she could have used Business Catalyst Consulting when she first began. 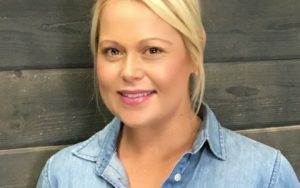 Her small business journey has been an educational one. She is now grasping everything she needs. AJ can be reached on the web at http://butterflykissesbyaj.com. 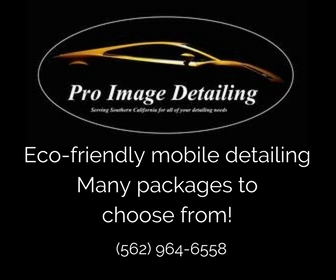 Nicholas Modrak from Pro Image Detailing is a mobile detailer in Orange and Los Angeles County. He is 100% mobile and will come to your home and business. Nicholas tells us about a surety bond that came out for car washes and mobile detailers. The idea was to help employees get paid fairly from car washes. Unfortunately they threw in the sole practicioners. The bond is from $9k to $20k per year depending upon your credit. He says this bond has forced many out of business. If someone operates without a bond they will fine you $10,000. If it is not paid within 30 days they up it to $200,000. This, too, is putting people out of business. Nicholas had to close down some of his locations as a result of this bond requirement. The cost is just too high when put alongside his other mandatory costs. The bond winds up forcing the owners to downsize and lay off people. Nicholas can be found on the web at http://proimagedetailing.com. Are you interested in being interviewed on What’s Up Orange County? We offer FREE advertising to anyone who appears on the show. This is a serious issue for small business owners. 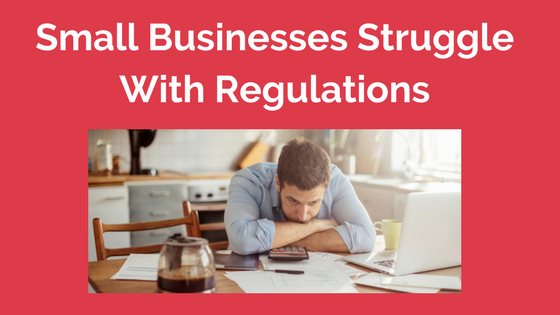 Small businesses struggle in many ways when it comes to regulations. Regulatory issues eat up a lot of time and financial resources which causes small businesses to struggle. You can read the article for yourself and see what I mean. Regulations hurt small businesses in California. Minimum wage continues to grow, which simultaneously raise costs on businesses and harms many low-wage workers and consumers. California is also pursuing regulations that would reduce the viability of Uber and Lyft, the popular ride-for-hire services revolutionizing how people commute. These regulations are just two of California’s many regulatory orders that are burdening the state economy. Contrast this to states like Texas, North Dakota and Virginia, who impose regulations that aren’t overly burdensome and, therefore, encourage economic growth and development. California could learn a thing or two from this pro-growth states. 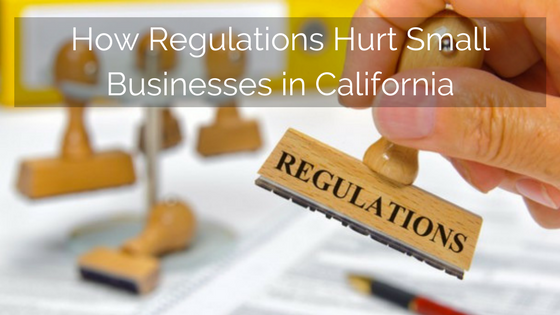 A study was done for Pacific Research Institute and the results exemplify how regulations hurt small businesses in California. The 50 State Small Business Regulation Index, compares all 50 states based on the impact from each one’s regulatory environment on small businesses. The Index creates a common platform, based on 14 regulatory components, to compare each state’s regulatory burdens on small businesses to highlight which regulatory environments are associated with slower small business growth, and which regulatory environments are associated with more robust small business activity. A review of this index shows that California was the worst ranked state and it shows because California also experienced significantly slower small business growth because regulations hurt small businesses. For instance, average annual small business payroll growth between 2002 and 2011 (the latest data available) in the states ranked in the top third was 3 percent—nearly double California’s average annual small business payroll growth of 1.6 percent. The same pattern held for average annual growth in employment—small business employment in the states in the top third grew 0.1 percent per year compared to a decline of 0.8 percent per year in California. So what’s California doing wrong? California is not a right-to-work state. Studies continually show that states with right-to-work laws experience faster growth than states without them. The top regulatory reform priority for California should be to pass right-to-work laws. These types of regulations hurt small businesses. California needs to reform its anti-growth regulations and ease the burden on small businesses. Reform will improve the incentives to start and run a small business in California and will reinvigorate the economy in the state. 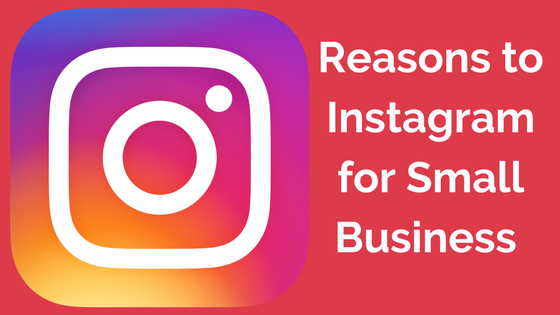 Instagram for small business–a topic many small business owners just don’t understand, but really should. There are 12 reasons to Instagram for small business. An examination of these 12 reasons should make any small business owner jump on the Instagram bandwagon. Instagram allows you to reach 100% of your followers while Facebook only allows you to reach 6%. Instagram’s engagement is 58 times more than Facebook and 120 times more than Twitter. Instagram is easy to use with next to no learning curve. In 2016, Instagram had 23% growth compared to 1.8% growth for Facebook and a loss of users for Twitter. Instagram is distributed equally amongst iPhone and Android users. Instagram currently has 800-plus million active monthly users. Organic engagement has grown by 115% on Instagram as compared to a 63% decrease in organic engagement on Facebook. The average order is $65 on Instagram versus only $55 on Facebook. Instagram’s growth rate continues to double every other smartphone ap. Instagram is extremely effective at deleting fake or spam accounts. 96% of marketers use Facebook, while only 36% use Instagram (meaning you have to complete with a third of the online marketers when using Instagram). The average Instagram account grows in followers by 16% per month (nearly 200% per year). These are some impressive things that mean Instagram for small business is essential. The above list is a dream come true for any small business. It brings to mind companies like Switchbox Media, who assist their clients with Instagram for small business. Switchbox understands that Instagram for small business will help to increase sales and they help small business owners effectively run campaigns on Instagram. Instagram for small business is something we all need to face and attack. We need a strategy around that and we must execute the strategy effectively. In this very first episode of What’s Up Orange County, I talk to Henry Choi from Switchbox Media and with Daniele Avedian and Jaime Gilles from Business Catalyst Consulting. These interviews actually relate directly to one another. During his interview, Henry lists his biggest challenge as not having enough resources to do what he needs to do. 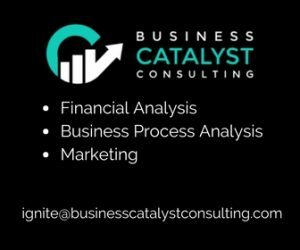 Business Catalyst Consulting specializes in finding the resources that can assist a small business. Seems like a match made in heaven! As a small business owner myself, I can tell you that time is one resource that is never in abundance. I work from a task list and I am always just going from task to task without any time for anything else. My days are packed full of appointments. It got so bad that we recently hired a virtual assistant to help us with some of the smaller tasks that take up lots of our valuable time. I believe small business owners need to get creative when running their business. They need to recognize their own strengths and weaknesses and fill in the gaps with the appropriate resources. This is why they say it takes money to make money. Small business resources like those discussed in today’s episode are invaluable to the owners of small businesses. It is definitely a struggle to find the right resources when running a small business. I personally think that what Business Catalyst Consulting is doing is brilliant. I plan to work closely with them on their efforts to help small businesses find the resources they require. It is a tough time here in California and we need every edge we can get. Now give this episode a listen. WARNING! The audio in the first part of this episode is horrible. I cleaned it up the best I could, but I just can’t make it as clean as I’d like and i want Henry to be heard, so I made the decision to release it. 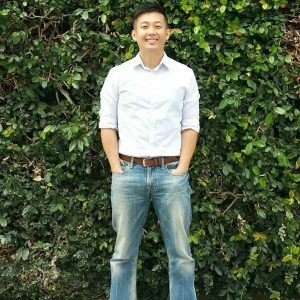 Henry Choi with Switchbox Media. 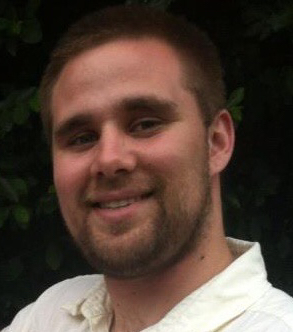 Henry work with clients running Facebook advertising. 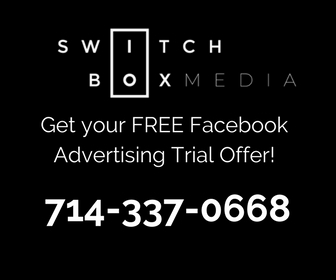 Switchbox Media is a digital marketing company. They are aiming to help clients increase their sales. 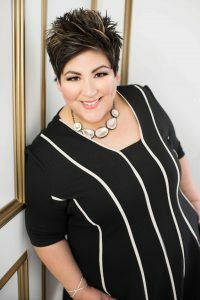 Nenry’s biggest barrier is how to connect with local business owners who are not using social media. The things that he can’t do now, but he would like to. He wants to be able to go out and meet people in person. He lacks the resources to do that. His time is eaten up by other work. Henry can be reached at http://www.switchboxmedia.com. Henry is offering a free trial of his Facebook marketing services. The only cost to you will be your ad spend. There is power in numbers. We’ve all heard this. As someone seeking to win a public office election, I can tell you that this is very true. The message I have was not being heard until I got numbers on my side. As soon as that happened, my message began to spread like wildfire. It is no different with issues facing small businesses today. I started What’s Up Orange County? because as a small business owner I could see the struggles clearly and knew the only way to tackle the issues was to gather up like-minded people. Only by lobbying Sacramento will we small business owners be heard. We have to get together and show we have the numbers to use our vote as leverage against the legislators who keep adding more and more regulations that burden us. We need to work together to be successful. This is why I offer free advertising to anyone who is a guest on What’s Up Orange County? — I want to be part of the solution. By leveraging the strength in numbers and by working together, we have a great opportunity to change and eliminate some of the regulations that tie our hands as small business owners. 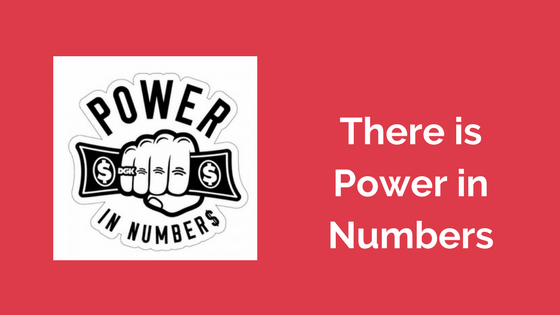 The strength in numbers philosophy is something people pay attention to. We will be meeting regularly to discuss and strategize around this issue. If you want to be part of the movement, contact us and let us know. If you are interested in being interviewed on What’s Up Orange County? take a moment to submit a request for an “Information/Discovery Call” so we can chat about your business and prepare for an actual interview. Numbers don’t guarantee success, but they do guarantee support and strength. Are you with me?